What harm is there in setting aside a day that motivates you to make a point of celebrating the one you love? Here is a list of five genderless gifts which will appeal to the object of your affection. Valentine's Day may have roots in a Hallmark campaign, but what harm is there in setting aside a day that motivates you to make a point of celebrating the one you love? Man or woman -- here is a list of five genderless gifts which will appeal to the object of your affection. (Sight) Smythson Pocket Notebook: Smythson's featherweight paper, copyrighted in 1916, is half the thickness and weight of normal paper so a great many pages can be contained in this very small package. Available in a wide range of colors with witty inscriptions, this low-tech handheld device is made to record thoughts and sketches you want to keep forever. From $52 at Smythson of Bond Street. (Taste) Samovar Tea Lounge Romance Tea Set: Packaged in a scarlet gift box, this unique tea set by San Francisco Company Samovar features three 40z. boxes of teas known for their seductive qualities: Wild Rose Bai Mudan (crushed rose petals and wild field grasses), Jasmine Pearl (jasmine blossoms and hints of cocoa powder) and Maiden's Ecstasy (dark flavors of rich earth and wildflower honey). It also comes with a mesh infuser.$79 at Samovar. 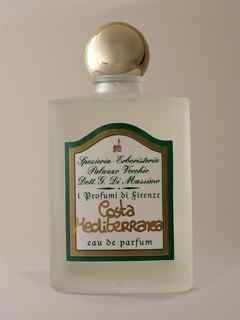 (Scent) i Profumi di Firenze Costa Mediterranea: Everything about this fragrance is romantic from its rich history (the line is based on recipes commissioned by 16th century Queen of France Catherine de Medici) to its soft masculine scent. A blend of Sicilian Lemon, Calabrian Bergamot, Vetiver from Java and Sicilian Orange - this fragrance smells equally delicious on a man and a woman. $99 at Beautyhabit. 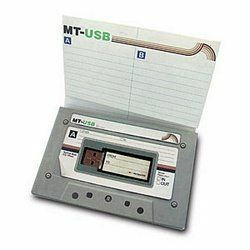 (Hearing) Mix Tape with USB Memory Stick: It may be a casualty of modern technology, but the time and thought a proper mix tape requires is timeless. This kitsch take on the classic mix tape carries the same sentiment and personal stamp as its ancient predecessor. $9.99 at Amazon.com. 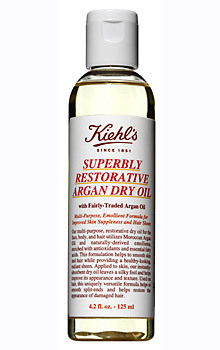 (Touch) Kiehl's Superbly Restorative Argan Dry Oil: This multi-purpose restorative dry oil made with fairly traded Moroccan Argan Oil moisturizes face, body and hair ends. Light and softly scented, it is also a great massage oil. $30 for a 4.2 oz. bottle at Kiehl's.